Golf is filled with special moments and memories, and there is no better way to preserve those memories than with a golf ball display case. Whether you are into engraving golf balls, or just a collector these golf ball holders are ideal for exhibiting your collection of logo balls from the many courses you have played. 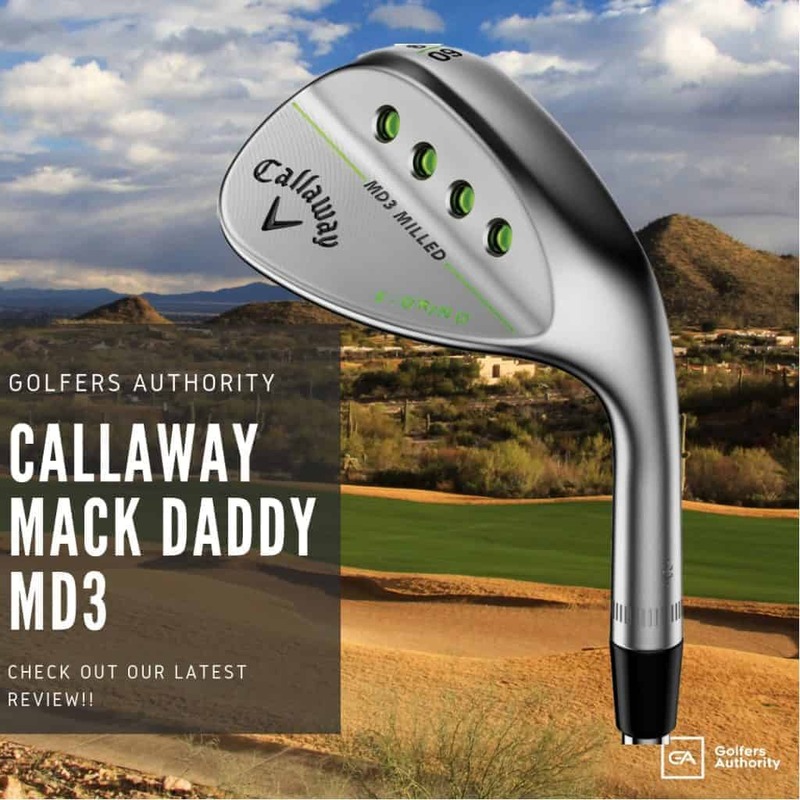 They can also keep fresh the memories of your best round or your first eagle, and they are perfect for showcasing your first hole-in-one or that one-of-a-kind golf ball signed by the great Phil Mickelson. 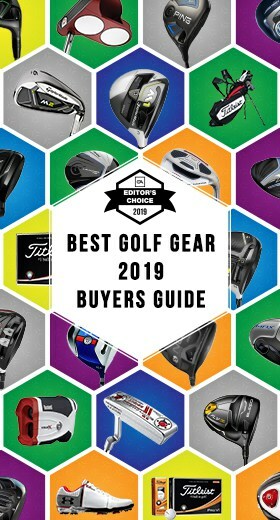 To help you find the perfect golf ball display case for your needs and preferences, below we will discuss these products in great detail and introduce you to several different types of golf ball holders, each of which is specially designed to preserve your great golf memories and showcase them to the world. 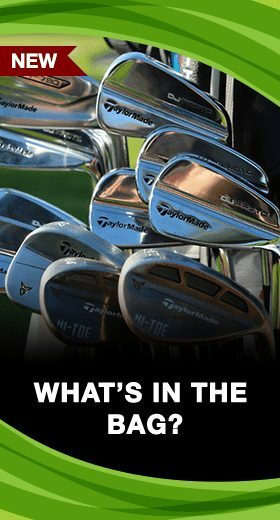 When to Purchase a Golf Ball Display Case? There are many reasons for which a golfer or golf ball collector might want to invest in a high-quality golf ball display case. 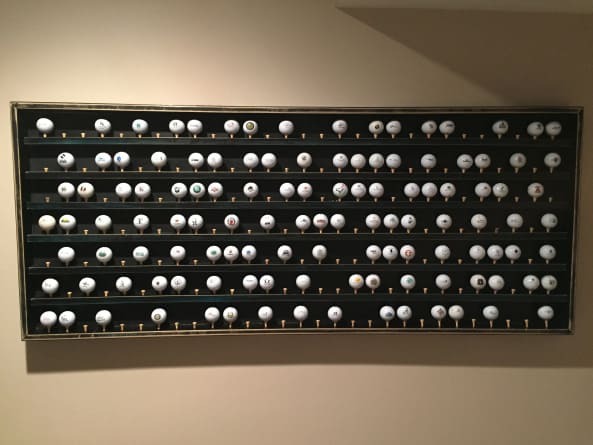 Golf ball display cabinets and display racks are ideal for showcasing golf ball memorabilia, such as monogrammed golf balls purchased or acquired at some of your favorite courses. Golf ball display stands are perfect for proudly exhibiting the golf ball (or golf balls) used to shoot your finest rounds of golf; and a desktop hole in one display case can serve as a constant reminder of your first (or only) hole in one. 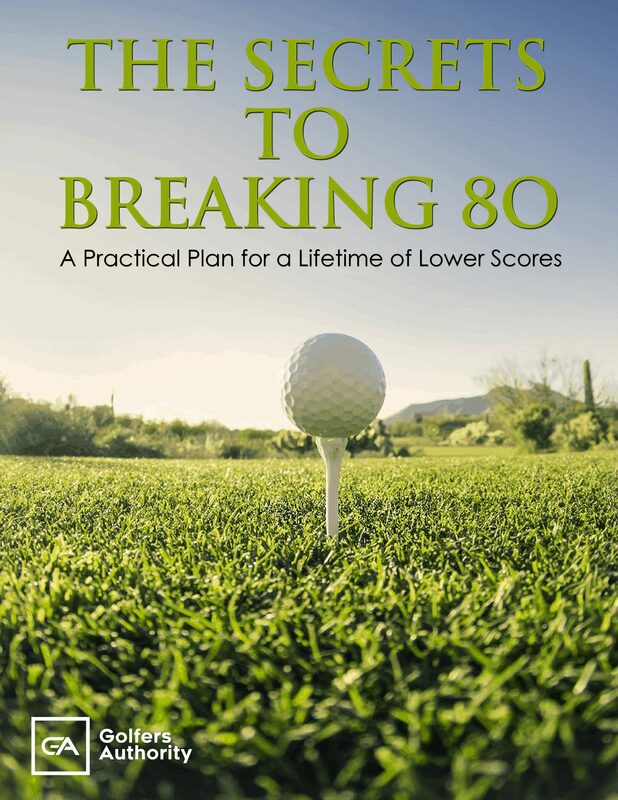 Finally, a single golf ball display, one encased and protected from the elements, is the perfect way to exhibit a keepsake golf ball, perhaps one signed by the great Jack Nicklaus or another famous professional. 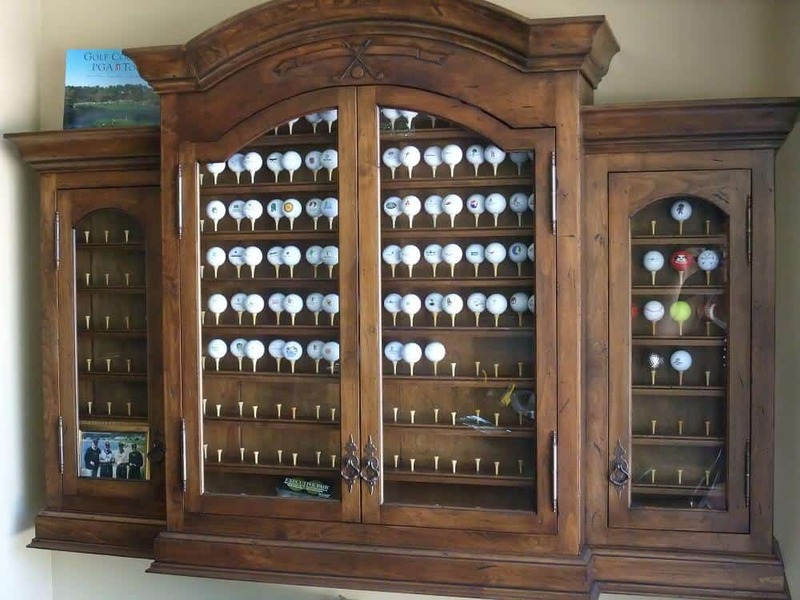 Varying in size, golf ball display cabinets can accommodate up to a hundred of monogram golf balls or more, making them a fantastic addition to any game or trophy room. With a flat base, these cabinets can either be hung or secured on a flat surface. The durable cabinets typically have a series of shelves onto which several golf balls can be displayed. Some golf ball display cases come with a glass door and a door display rack. Golf Ball Diplay Cabinets are generally constructed from a variety of materials, ranging from plastic to glass to a variety of handsome woods, including oak, pine and beachwood. Golf ball display cabinets are usually fully enclosed (hence the term “cabinet”), with glass or acrylic doors to showcase the balls within. Very similar to the golf ball display cabinet, the golf ball display rack can also hold between 20 and 100 balls (some are even larger). Made from a variety of materials, these great-looking racks are designed to be hung on a wall, and thus they typically include all of the mounting hardware needed to complete the job. The collecible display shelf n a golf ball display rack have pre-cut indentations in which to place the monogram golf balls you have collected. This prevents the balls from rolling about. Golf ball display racks can either be open or enclosed, the latter using a piece of slide-in glass or plastic to keep the balls visible. Golf ball display stands are the perfect option when you just need to showcase a few golf balls—or perhaps just that one very special golf ball with which you made your first hole-in-one. 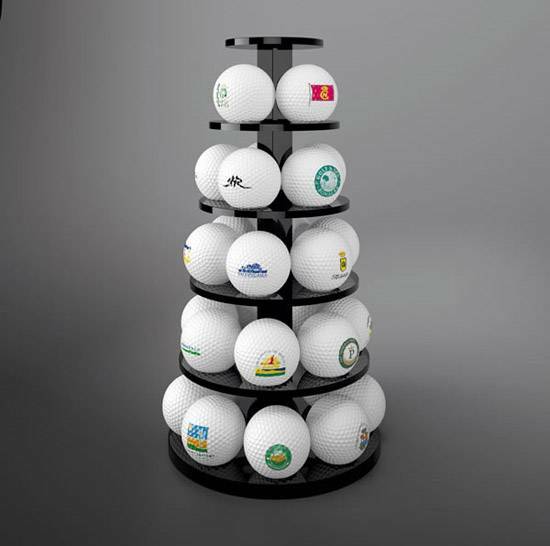 As the name suggests, a golf ball display stand is designed to be placed on a flat surface, such as a trophy shelf. These stands usually have an attractive wooden base, one which can be customized with an engraved plate of some kind. Raised platforms on these stands allow you to proudly display your most treasured golf balls; and the stand can either be open or fully enclosed on all sides using glass or a durable cover of transparent plastic. Golf ball display boxes for desktops incorporate elements of both golf ball display cabinets and golf ball display stands. These desktop or trophy shelf boxes allow you to showcase a variety of different golf balls, usually 10-20, on a series of shelves that are encased within a transparent box that looks great in any space. 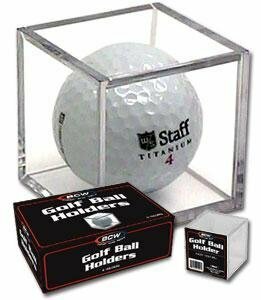 Golf ball display boxes for desktops can be made from glass or see-through plastic. The heavy base on a golf ball display box adds an extra level of security. These bases are typically made from wood or tough acrylic substances that are available in a wide variety of colors. Whether you are looking to flaunt and celebrate your first ace, or showcase a signed ball from Tiger Woods, a single golf ball display box is the perfect vehicle for this very important piece of golf memorabilia. Like the multi-ball golf ball display box, the single golf ball box is designed to be placed on a hard flat surface (your desk is perfect for this). The base of these boxes can be made of plastic, wood or even marble, from which a platform rises to prominently display the ball. The ball is then securely encased by a five-sided piece of glass or plastic, which fits perfectly into the grooves of the stand. The end result is a beautifully displayed ball for a lifetime of great memories. Golf ball display cases are available in a variety of shapes of sizes, ranging from large cabinets and racks to smaller golf ball stands and single-ball boxes. What all of these display mediums have in common is their ability to exhibit and safeguard some of your most cherished monogram golf balls. How Many Balls Can a Golf Ball Display Rack Hold? 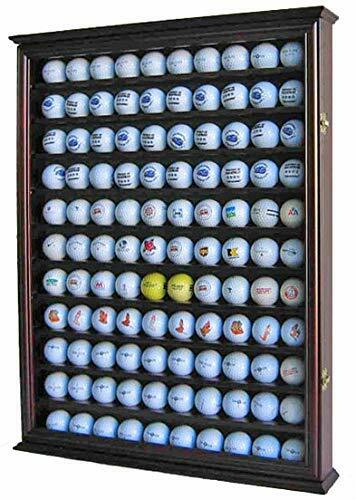 The number of balls a golf ball display case can hold varies from case to case. Some large display cabinets can hold 110 golf balls or more. These large cabinets typically include 10-12 shelves, and each of these shelves has roughly 10 indentations that help hold the balls in place. Golf display racks, most of which are designed to be hung on a wall, can also hold up to 100 balls or more, although most of these are specifically manufactured to hold about 40-50 balls. Some even have a “hopeful” space in the middle of the golf ball rack in which to place the ball from your first hole-in-one. Golf ball display stands are designed to sit on a flat surface, such as a desk or trophy shelf. These stands are typically made to showcase between 20 and 30 golf balls. Finally, there are single-ball golf display boxes. These four-sided stands are made to proudly exhibit a single ball, be it a hole-in-one ball or a golf ball signed by your favorite professional golfer. 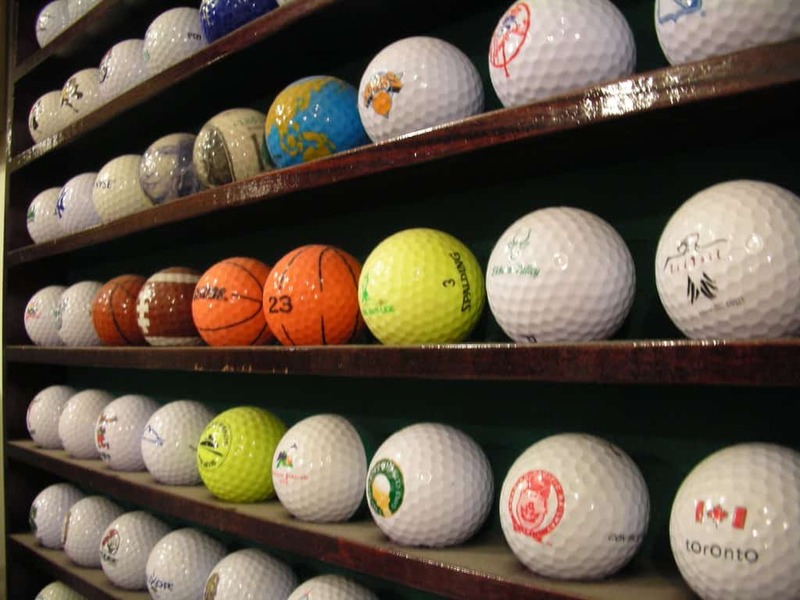 What Materials Are Used to Make Golf Ball Display Cases? There are a variety of materials used in the construction of golf ball display cabinets, racks, stands and boxes. Cabinets and golf ball racks are generally made from an attractive wood source, such as oak, pine, ash or beechwood. Stands and boxes may use glass, plastic or acrylic materials to protect and showcase the ball simultaneously. 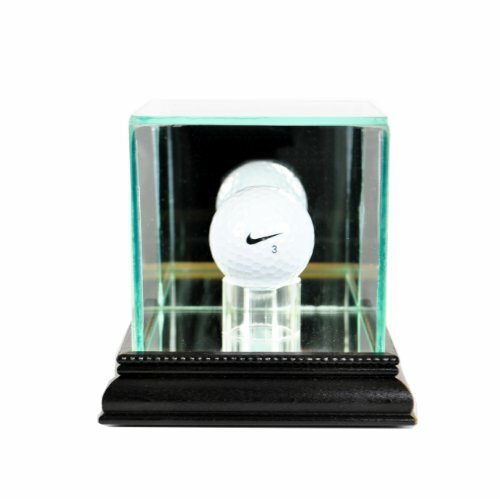 Many golf ball display cases are made with a combination of materials, such as wooden display cabinets with a glass door or a glass display stand with a gorgeous wooden base. The smaller golf ball stands and boxes are usually fully encased to shield against the elements; and some golf ball racks may also have a clear sliding cover of some kind for the same reasons. Many larger golf ball display cabinets have either plastic or glass doors that help guard the balls from dust and other particles. And some of these doors even come with a locking mechanism, which can help keep inquisitive eyes and hands safely away from your beloved memorabilia. Although not generally used in golf ball display stands or boxes, the larger golf ball cabinets and golf ball racks may have felt on the shelves and on the back panel of the cabinet or rack. This felt serves two purposes: 1) It prevents balls from being scratched or dinged by the wood surface; and 2) It serves as a nice backdrop in which to prominently display your golf ball memories. As you might expect, cabinets and racks with thicker felt are much more protective than those with a very thin layer of felt, so it pays to look around carefully when shopping. Below we have reviewed the top selling golf ball display cases currently available on the market. These cases are designed to display anywhere from 1 to 110 of your most treasured golf balls and beautifully preserve all the memories behind them. 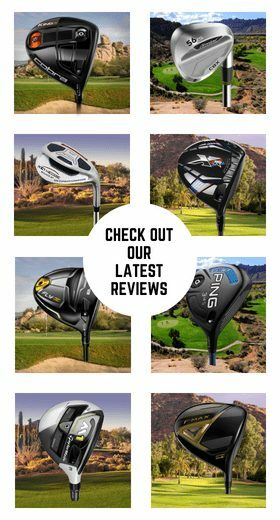 Are you looking to show off your large collection of logo golf balls? If so, it’s hard to beat the DisplayGifts 110 Golf Ball Display Case Wall Cabinet Golf Ball Holder. A display case artfully crafted from the finest wood materials, this case is absolutely perfect for any game room, trophy room or office. 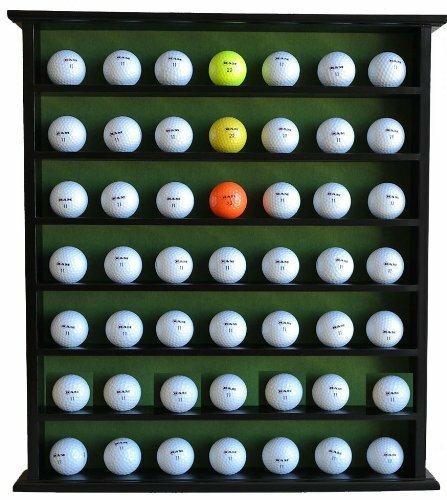 The beautiful DisplayGifts 110 Golf Ball Display Case Wall Cabinet Golf Ball Holder, which holds up to 110 of your favorite golf balls, measures 25 inches in height, 20.5 inches in width, and a slim 3 inches in diameter. The 11 shelves on this 110-ball display case have pre-set indentations to hold the balls in place; and the entire cabinet is craftily covered by a sleek UV-protected acrylic door that helps resist dust and the effects of other elements. The hanging DisplayGifts 110 Golf Ball Display Case Wall Cabinet Golf Ball Holder includes an intelligently-placed metal bracket for hanging; and the case arrives fully assembled with no extra tools required. UV Protection nAcrylic door to prevent dust and protect. 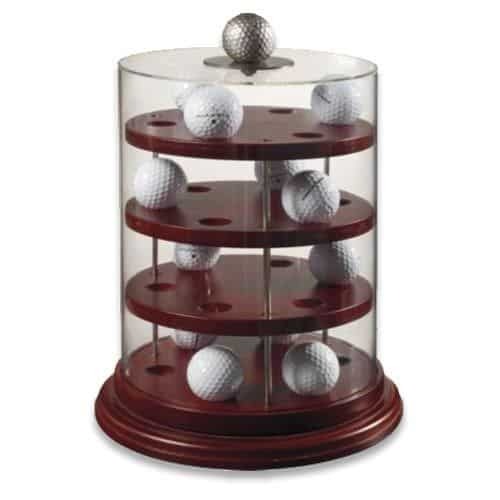 If want to showcase and memorialize some of your greatest golf moments (and the golf balls that created them) you should definitely check out the DisplayGifts Golf Gift 49-Ball Cabinet Display Case Rack. A hanging golf ball rack that sports a bold and majestic look, this golf ball case can hold up to 49 of your most treasured golf balls, ensuring some of your most precious memories will remain front and center in your mind. The DisplayGifts Golf Gift 49-Ball Cabinet Display Case Rack is constructed of high-quality beechwood with an enticing black finish. Dimples on the five strong shelves of this rack are the perfect size for golf ball placement, ensuring none of these pieces of memorabilia will ever be compromised. The golf balls in the open DisplayGifts rack truly stand out against the case’s beautiful green felt; and the golf ball display rack can be displayed on any wall thanks to the included metal bracket and hardware. Dimples on shelves to secure balls from rolling. This display case has NO DOOR. When you have a single ball to display, perhaps the ball from your first and only hole-in-one, nothing looks better than the Perfect Cases PGA Golf Ball Glass Display Case. A table-top display that looks great on any desk or trophy room shelf, the case is comprised of a shimmering box of UV-protective glass atop a wonderfully crafted base of wood molding. Rising from the inside of the box is a glass-like cylindrical stage onto which the unforgettable golf ball is placed and displayed. To further enhance the golf ball’s appearance, the Perfect Cases PGA Golf Ball Glass Display Case is manufactured with mirrors on the bottom and back of the case, a design that seems to enlarge the ball and make it stand out. Best of all, the entire case is made in the USA by true American craftsmen. 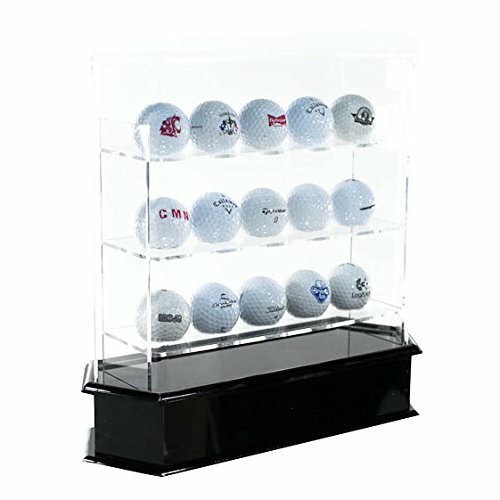 When using the Perfect Cases PGA Golf Ball Glass Display Case, users will never have to worry about logos or signatures deteriorating over time. The single-ball case helps to protect the golf ball from the elements, and the adhesives used to make the box contain no harmful acids that can often cause fading over time. Collecting insignia golf balls from the special courses you have played is a magnificent way to preserve your golfing memories, and the ProActive Sports 15-Ball Desktop Display can help keep those memories close at hand. The case is made from gorgeous transparent acrylic, which rests atop a gleaming black base of the same material. The case consists of three shelves, each of which includes five perfectly spaced indentations to grab and hold your golf balls. With its ability to accommodate 15 balls, the case makes a great addition to any home or office space. The acrylic in the ProActive Sports 15 Ball Desktop Display is both tough and easy to clean. 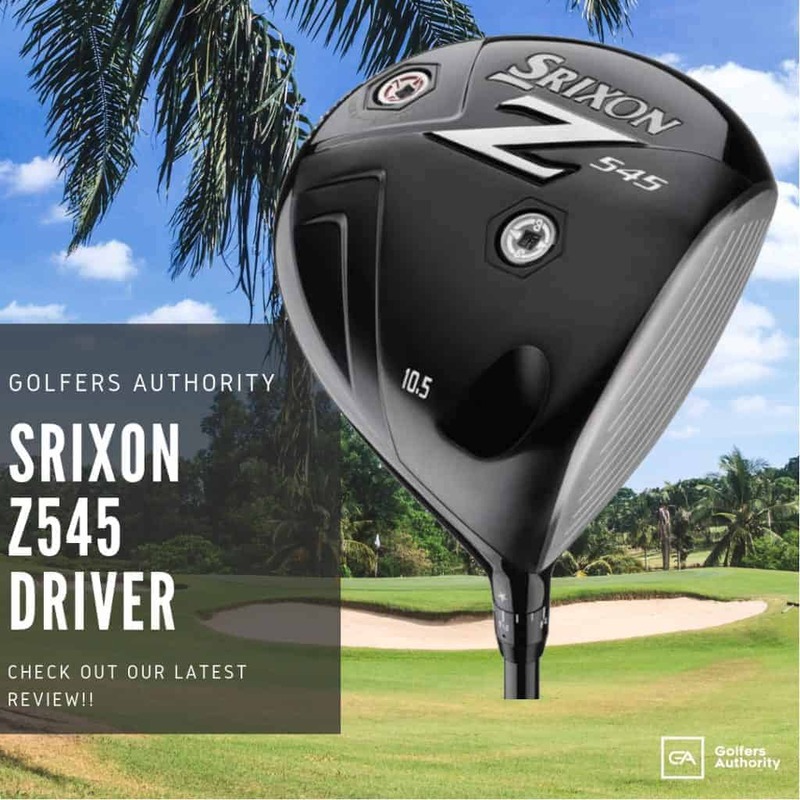 The four-sided cover fits perfectly over the shelves and snaps easily into the bold base to ensure the security of your prized golfing memorabilia. The case, which can be placed on any flat surface, makes a great gift for the golfer or golf collector in the family. 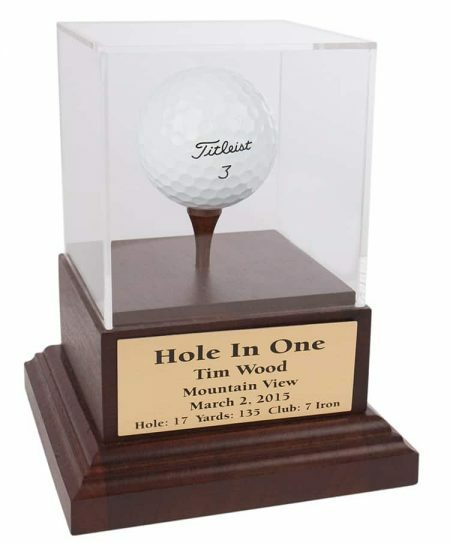 This beautiful acrylic golf ball display case will make a fantastic addition to your golf dTcor in your home or office. The display can be placed on any flat surface and holds 15 balls.. Proudly display your winning or collector golf balls.. This stunning display also makes an excellent gift. Made in China. Model Number: Z-DISPLAY3. 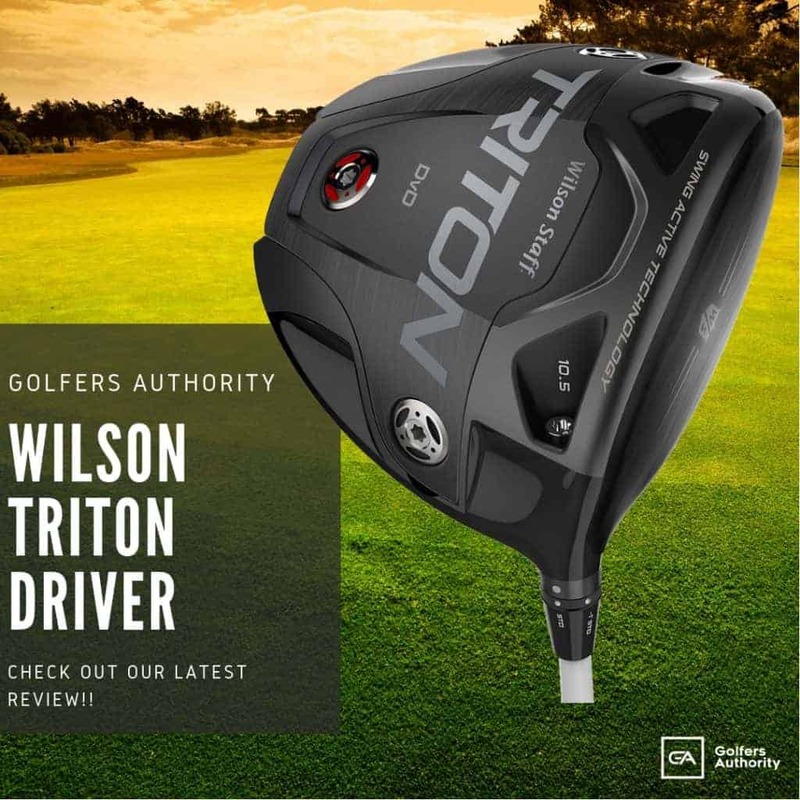 A signed golf ball from your favorite professional not only represents a pleasant memory; it is also a major collector’s item that may rise in value as the years go by. And to protect that ball’s worth, while still having the ability to proudly display it, is a job that can easily be done with the BCW Golf Ball Square Golf Ball Holder and Display Case. The two-piece BCW Golf Ball Square Golf Ball Holder and Display Case is the perfect receptacle for a regulation sized golf ball. Measuring roughly 2 inches by 2 inches by 2 inches, the case, when closed, leaves just a fraction of space between the ball and the beautiful walls of the case—an intentional design that prevents the ball from moving and potentially marring the all-important signature. Both halves of the BCW Golf Ball Square Golf Ball Holder and Display Case are made from high-impact, crystal clear polystyrene, a transparent material that helps guard against fingerprints, smudges and dust. Due to the box-like design, the BCW case can be placed on any flat surface, and it looks great on any home or office desk, trophy shelf or game room table. What Display Case Should You Buy? Golf is a great game, one with many ups and downs. Some players can shoot horribly through the first 17 of 18 holes. However, when they make that last perfect approach shot on 18 and sink the 9-footer for birdie, all the woes from earlier will be magically forgotten and his/her love of the game will be magically restored. It is for memories like these that a well-constructed golf ball display case—a cabinet, golf ball display rack, desk stand or box—should definitely be part of your trophy room collection.